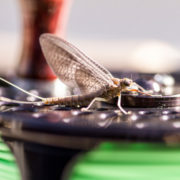 Like all of our mayflies Hendricksons hatch and spin during the best time of day. In the case of hendricksons most hatches occur mid afternoon (the warmest time of day) however on some rivers there can be a pre-emergence around 11:00 in the morning. This is why Hendricksons have the nickname of the gentlemen’s hatch. You can stay up late playing cards and drinking and still be on the water when the action starts! The spinner fall is usually in the early evening before temps fall to low. 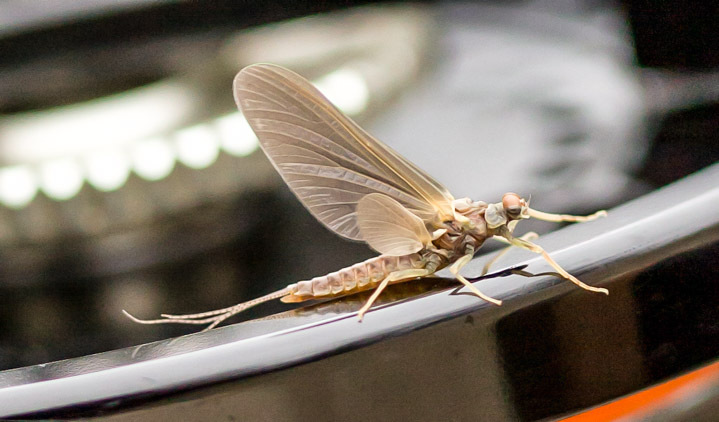 The Hendrickson mayfly is one hardy little guy. I’ve seen hatches where I had duns landing in my boat on three inches of snow. eager to eat. That being said you do need good patterns for all three stages, emerger, dun and spinner. While I’m sure there are a lot of great patterns out there I’m very comfortable carrying these pattern. 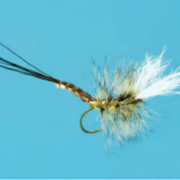 I use a Rusty Spinner pattern (check out the video below) and Ed McCoy’s emerger and Hendrickson dun pattern. 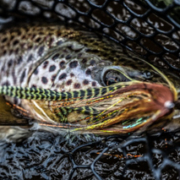 When Hendricksons are hatching or during a spinner fall you will often see surprisingly large trout rising and eating bugs in the daylight. Not a common occurance in the daylight in Northern Michigan. I like to be on the water early enough to be in the ares that I’ve seen a smaller emergence around 11:00 am. When that emergence happens I usually get shots at good fish. Then depending on cloud cover if cloudy I’ll go to streamers. 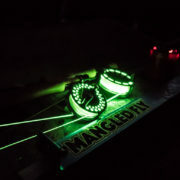 If sunny I’ll stick a tandem rig with a dun and emerger and fish blind. When the normal emergence kicks in I stick with the same program. 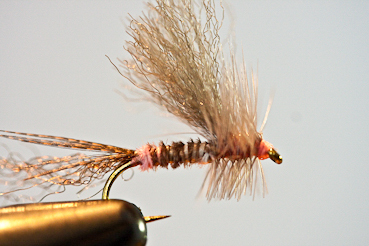 The spinners will accumulate in good numbers over riffles. The females will form a very obvious yellow egg sack while in the air. I fish the female almost exclusively because the fish seem to key on that egg sack hanging off their back end. 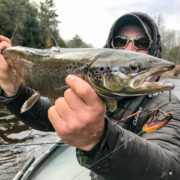 The Hendickson hatch is one of the top 5 or 6 hatches in northern Michigan in terms of the size of the fish you have an opportunity to hook. 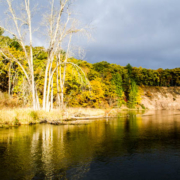 Being available in a number of watersheds including the Manisttee and Ausable makes it easily available to wading anglers is a plus too! Make sure your tippet is strong, knots are good and your drag is set properly! Greg, a good float for you in your canoe would be from Tree Farm to Yellow Tree that is a good Hendrickson float, also easy to get out and wade. 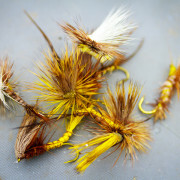 Yes Ed McCoy is tying some great looking bugs, can’t wait to share what is coming out in 2019. 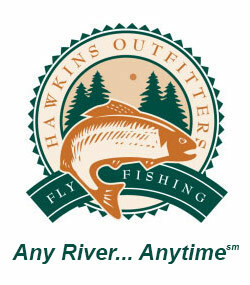 Thanks for your comment and good luck this dry fly season.